Bigg Boss 11 has been a visual treat in for the audience and each episode is adding up to the entertainment quotient of the popular reality show. The show has seen several enmities in the house and this time too we will see an ongoing tussle turning nasty. We are talking about the fight between Arshi Khan and Shilpa Shinde. The two ladies will be having a face off for the captaincy of BB house. According to the media reports, Bigg Boss will ask Arshi and her team to name two contenders for captaincy task. While Arshi will reportedly be adamant to remain the captain of the house, Shilpa Shinde too wants to contest for captaincy. This has led to a major fight between Arshi and Shilpa. While the speculations are rife about who will be the next captain of the Bigg Boss house, we bring you all the live updates from the show. # Shilpa Shinde and Puneesh Sharma seem to be content with this intense situation. 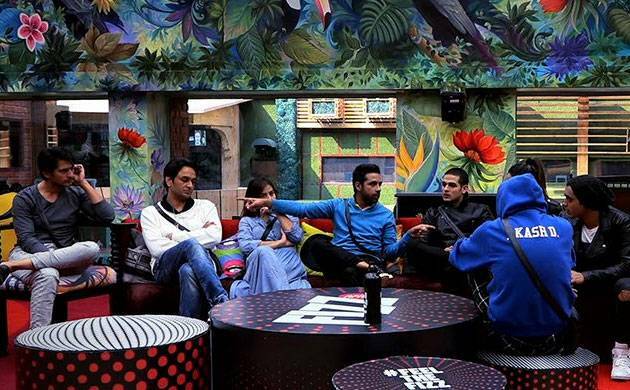 Bigg Boss tells the housemates that there won't be a Captain in the House this week. Watch the housemates in shock on #BB11! Bigg Boss informs the housemates in the Kaal Kothri that they can get back into the House! Tune in to #BB11 to catch all the action! The housemates wake up to 'Kar Gayi Chul'. Catch them dance only on #BB11.
.@lostboy54 chooses to see what all @eyehinakhan has said about him in the @cpplusglobal task. What will happen next? Watch #BB11 to find out.
.@eyehinakhan and @lostboy54 discuss the @cpplusglobal task. Tune in to #BB11 to see what they are talking about.